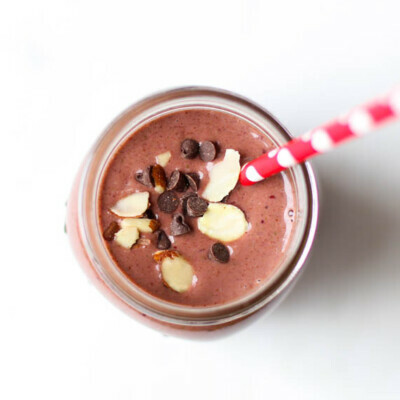 This Chocolate Covered Cherry Smoothie tastes like dessert but is chock full of antioxidants and protein thanks to spinach, dark cherries, almond butter, cocoa powder, and more. Easy, single serving smoothie that can be made into a smoothie pack, too. 3. Taste and add a dollop of honey, if preferred.